The Peloponnesian War, 431 to 404 b.c., pitted the all-powerful Spartan infantry against the supremely powerful Athenian navy. 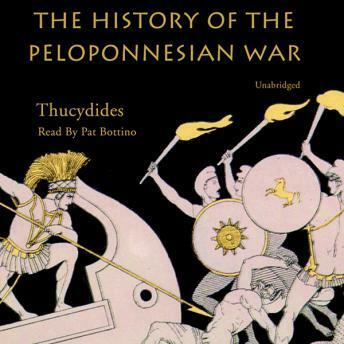 Thucydides actually participated in this war and realized it would have an unparalleled influence on the history of Greece. He vividly narrates exciting episodes and carefully describes tactical aspects of the war as well as provides various illuminating character profiles. love this historical masterpiece! unfortunately this Pat bottino narrator seems to do a lot of the ancient works. his voice is very dull and does not capture the right feeling.